Wilber Hardee opened his first restaurant in Greenville, North Carolina, in 1960, and just five months later he had his first franchisee. Hardee’s restaurants, which serve biscuits, burgers and chicken, have since spread throughout the Midwestern and Southeastern U.S. In 1997, Hardee’s was acquired by California-based CKE Restaurants Inc., franchisor of Carl’s Jr. Restaurants. Since opening in 1965, Subway has grown from a tiny submarine sandwich shop into the world’s largest submarine sandwich chain. With more than 28,000 restaurants in 86 countries, Subway continues to grow through its image as a fresh, healthy alternative among fast-food restaurants. Subway has claimed the No. 1 spot 15 times on Entrepreneur’s Top 10 since it debuted in 1988. In 1958, brothers Frank and Dan Carney borrowed $600 from their mother to open a small pizza parlor in their hometown of Wichita, Kansas. Fifty years later, America’s first pizza chain hasn’t stopped growing. Pizza Hut’s specialty pizzas can be found in franchises throughout the world, and the restaurant continues to be a popular destination for pizza lovers. Harland Sanders opened the first KFC restaurant in a Kentucky gas station during the Great Depression. Nearly 80 years later, his original recipe is still used in more than 11,000 restaurants worldwide. 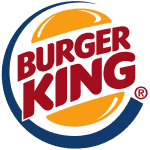 This famous hamburger restaurant has made the Top 10 ranking 27 times in the 29 years we’ve been compiling the Franchise 500. Ray Kroc opened his first restaurant in 1955 and earned a modest first day’s revenue of $366.12. More than 50 years later, McDonald’s earns more than $23 billion a year.